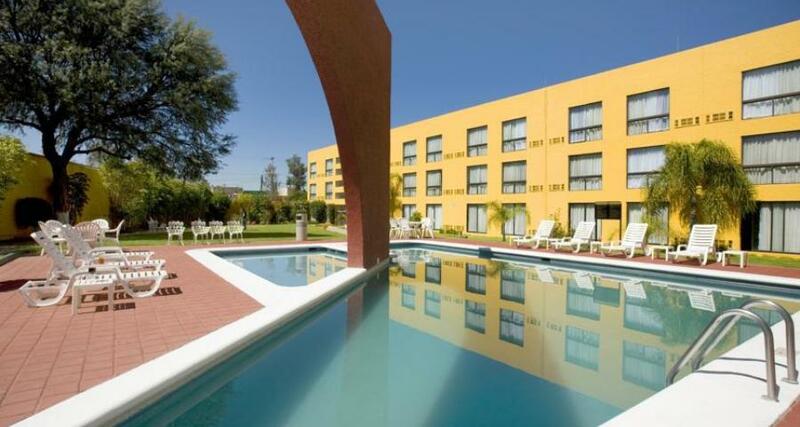 Fiesta Inn Aguascalientes is a 4* hotel located in Aguascalientes, Mexico. It features 125 rooms and swimming pools. Enjoy a wonderful accommodation experience at Fiesta Inn Aguascalientes, a beautiful hotel located in the colonial city Aguascalientes. This lovely hotel has an excellent restaurant serving local cuisine, as well as convenient rooms for board meetings and other functions. There is a pool for relaxing, while business travelers will love the functionality of the business center. Offering easy access to tourist attractions and the city's industrial areas, the property is great for business travelers and vacationers.